Each of these three murder mysteries — two are debut novels — pulled critic Moira Macdonald into another world. Whodunits, detective novels, crime fiction, murder mysteries … whatever you want to call it, it’s a genre irresistible to many of us. 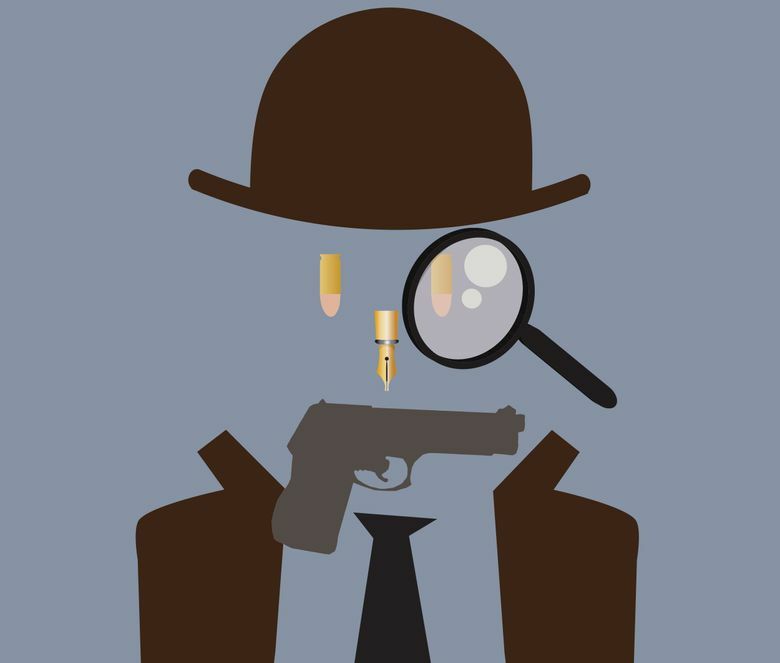 Though I suspect I would be a very bad detective in real life — I’m not fond of the sight of blood, I don’t have the patience for the minutiae of clue-gathering, and my wardrobe lacks a decent trenchcoat — I love to let myself become one in fiction. Three compelling murder mysteries, all with a twist, crossed my desk in recent weeks; each one pulled me into another world. “Why do English villages lend themselves so well to murder?” wonders a narrator in Anthony Horowitz’s delicious “Magpie Murders” (Harper Collins, $27.99). She quickly answers herself — it’s because “in small, rural communities everyone knows everyone, making it so much easier to create suspects and, for that matter, people to suspect them.” And because — at least in fiction — such villages are populated with the sort of eccentrics who make for page-turning reading. Half of “Magpie Murders” is a classic English-village murder mystery, set in the 1950s and involving the mysterious death of town busybody Mary Blakiston, who had a way of suddenly appearing “as if summoned by a malignant spirit.” But, like fish and chips wrapped in newspaper, it’s encased in something else: the contemporary story of London editor Susan Ryeland, reading the manuscript of said mystery and realizing, as it reaches its denouement, that the final chapter is missing. Why is it missing? What has happened to its best-selling author Alan Conway, creator of the natty 1950s detective Atticus Pünd? Susan, with a surprised thrill, becomes a detective herself, navigating an array of breadcrumb clues scattered throughout the manuscript. Horowitz, author of the best-seller “Moriarty” (and — relevant to our interests here — the British TV series “Midsomer Murders”), has a ball with all of this, and so will you. Read it not just to find out whodunit, but for Horowitz’s wicked portrait of the book industry (I love the fictional blurbs for Conway’s novel), and his cinematic way of painting a character with just a few words. A minor character is described, perfectly, as “She always gave the impression that she knew something terrible was about to happen but didn’t want to put it in words.” I’ve met more than a few people like that. Felicia Yap’s debut novel “Yesterday” (Mullholland, $27, pub date Aug. 1), set in almost-contemporary London, includes all the trappings of a standard murder mystery: a troubled marriage, a dead mistress, a dogged detective investigating the case, a trail of clues. The twist, however, is right out of Christopher Nolan’s “Memento”: In this story’s universe, everyone is divided into one of two classes: Monos, who have the capacity of just one day’s worth of memory, and the more elite Duos, who have two day’s worth. Yap’s not always the most artful of writers — her sentences can have a monotonous choppiness — but she’s a smart, swift plotter, and “Yesterday” races along like it’s late for dinner. And her characters, particularly the detective and sad, lonely Claire, come to life on the page. You’re finished, quite satisfied, before you have time to ponder whether the science quite adds up (there’s a precise distinction between memories and facts). A former biology researcher, Yap is at work on a sequel — and word is there’s interest in a movie adaptation. Remember her name. “See What I Have Done,” by Sarah Schmidt (Atlantic Monthly Press, $26, pub. date Aug. 1), another debut novel, doesn’t have a detective. Instead, the author presents a familiar crime and hands us the magnifying glass. It’s a terribly hot morning in August 1892 in Fall River, Massachusetts, and a distraught Lizzie Borden yells, in the book’s opening lines, “Someone’s killed Father.” With an ax, of course — and, in the coming pages, it turns out that someone’s killed Stepmother, too. It’s a crime ripe for a fictionalized treatment, because we both do and don’t know whodunit: In real life, Borden, popularly believed to have committed the murders, was acquitted of the crimes in 1893 and lived quietly in Fall River until her death more than 30 years later. Schmidt focuses less on the crime than the mood of the house in those few days; it’s a portrait of a deeply unhappy family, wrapped in the rusty smell of blood and the taste of rancid mutton. Schmidt relies, perhaps too heavily, on vivid images of taste and smell, but skillfully differentiates her book’s four alternating narrators: Lizzie, her sister Emma (away visiting a friend at the time of the crime), the Irish maid Bridget, and Benjamin, a drifter and a stranger whose path crossed with the Bordens at a key moment. Bridget’s voice is fanciful, almost Joycean (her father, at her goodbye party back home in Ireland, “got his voice singing beer-sweet”); Benjamin’s is more stark; Emma’s is pained yet proper, and Lizzie’s voice is often chilling, like a sudden dark cloud appearing in an already gray day. “Memory coiled,” we read, from Lizzie’s point of view, “like a snake.” Brrr.